Scratch-version first performed at the In the Flesh festival at the Plymouth, Barbican in Feb 2011. 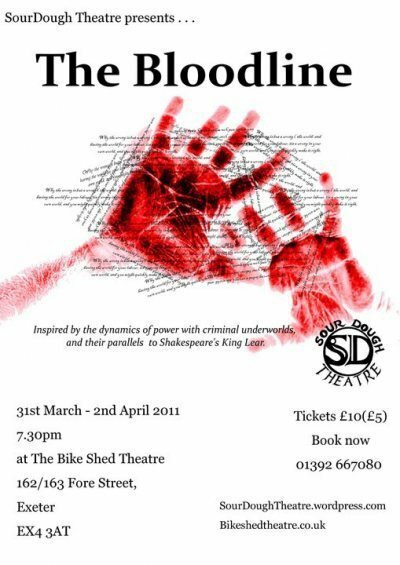 Full version first performed at the Bike Shed Theatre, Exeter in March/April 2011. ‘Shakespeare meets the criminal underworld’. Perhaps our favourite piece to date this was favourably reviewed, mentioned in The Guardian and recommended as the theatre-of-the-day in The Times. The Bloodline was a new play, a ‘Shakespeare cocktail’ made up of parts of most of his work, loosely following the structure of King Lear set within an underworld, Mafia-esque crime family. It had a distinct feel to it, an aesthetic partially informed by the popular, often cinema-inspired of hereditary crime families, such as 1920s music and a scene with an uncomfortable pasta and red wine formal meal. There was always an air of underlying violence as well which would occasionally erupt into moments of brutality – not stage combat, but people delighting in inflicting pain. Though neither can this be described as a period piece, there was a theatrical quality with ghostly make up and wars conducted with fruit upon a table; and all ground in a plot filled with Shakespeare’s finest language and intrigue. Originally inspired by the concept of doing King Lear in an Italian-American mafioso setting, the idea became mo re general and we decided on doing a Shakespeare cocktail. A period of R+D began in which we examined organised crime and most of Shakespeare’s plays, eventually drawing out a few archetypal characters and plot devices. 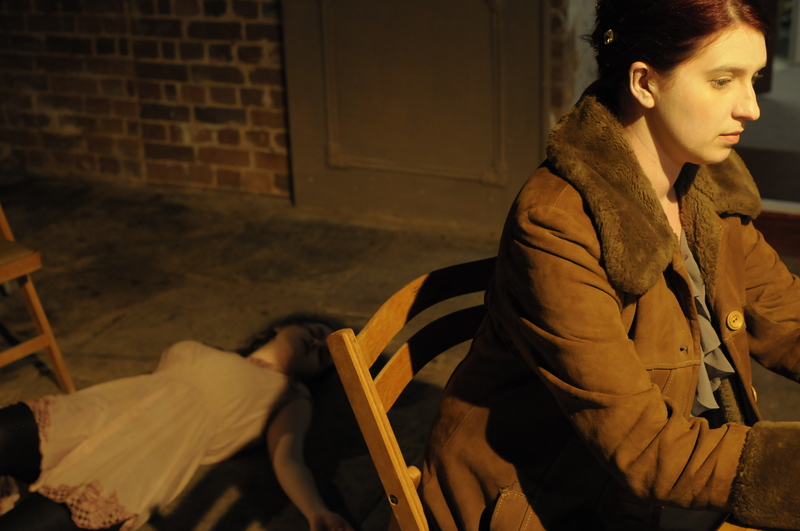 Using these scenes were devised and a 20-minuter version created which was performed at the Barbican. Using the feedback from this, the play was expanded during a period of intense writing, creating a plot and then thorough scenes entirely using lines from different Shakespeare plays – eventually using them all with the exception of Henry VII, Henry VI Part 1 and Pericles! From here we began working out to perform it and adding more moments of theatricality without having to use constant text. While we perhaps needed a little bit more time to work everything out to complete satisfaction, the piece remains one of our firm favourites.